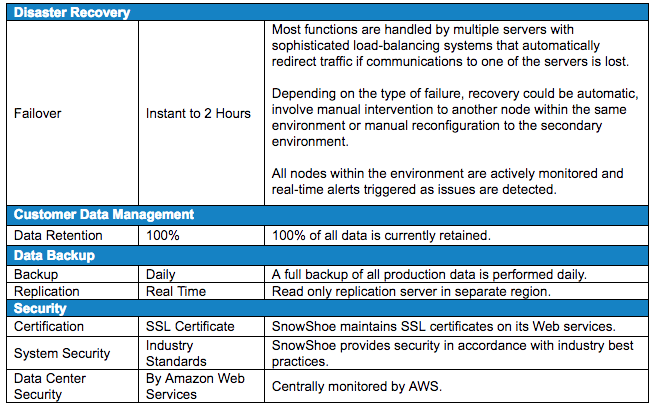 The following document details the Service Level Agreement standards and policies employed by SnowShoe for licensed partners. This agreement represents the Service Level Agreement (SLA) for the provisioning of services required to support and sustain the SnowShoe API and Cloud Services. Licensee must provide SnowShoe with sufficient information to reproduce, verify and validate issues. Upon request Licensee may need to provide direct customer contact details to establish root cause. For issues submitted by, SnowShoe will analyze each error and assign a Severity Level. SnowShoe will respond to each issue, as defined below, and provide a detailed action plan in the stated time. This presumes that support personnel can establish contact with the appropriate party after receipt of the initial report.